Follow this guy! Saint Archer’s White Ale is now available at no extra charge for those 21 years and older on select Alaska Airlines regional flights from San Diego. Alaska Airlines is one of the most lauded air carriers in America, and here’s yet another reason to love this airline. Saint Archer Brewing Co. recently announced a new partnership with Alaska. 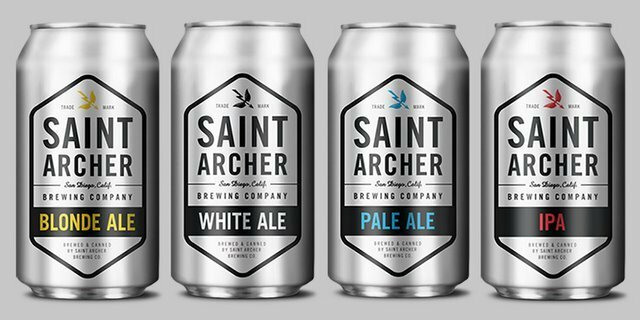 Saint Archer’s White Ale is now available, AT NO EXTRA CHARGE, to customers 21 years and over on select regional flights throughout the Western United States. These include flights from San Diego to Mammoth Lakes, Boise, Fresno/Yosemite, Santa Rosa, Monterey and Salt Lake City. The White Ale recently took the Gold Medal at the Great American Beer Festival and will join Alaska Airlines’ long-standing commitment to offering premium food and beverage service on all flights. 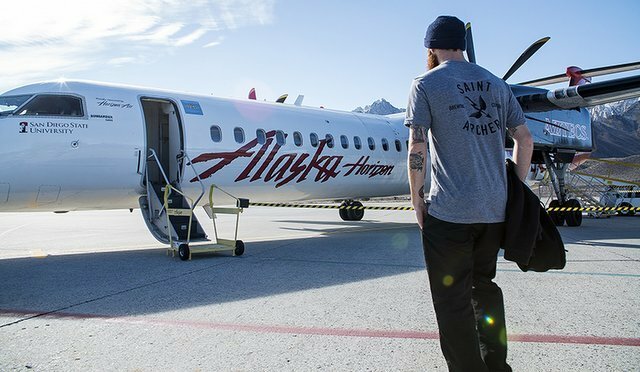 As part of the new partnership, Saint Archer will be documenting its ambassadors — including pro surfer Taylor Knox, pro snowboarder Pat Moore, and pro skateboarder Mikey Taylor— as they continue their world exploration on Alaska Airlines. The result will be a series of short films telling their unique stories as they travel along Alaska’s adventurous route map. 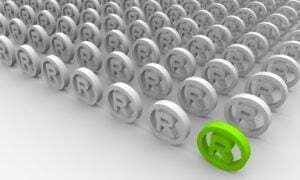 Click here to watch the first installment. Carlo Arvizu liked this on Facebook.